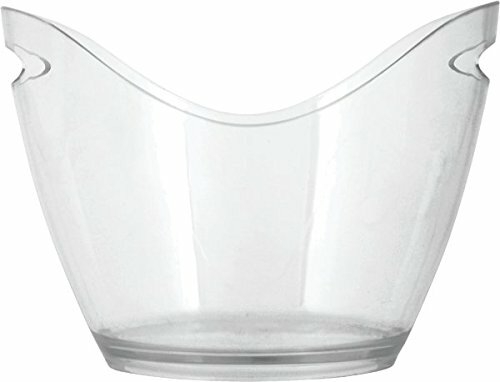 Spacious, lightweight and stylized, the Swish Modern Ice Bucket comes party-ready. It's made of durable acrylic with cut-out handles allowing for easy mobility. Transparent sides let you check out the options in the bucket, and a scooped rim makes it easy to swoop in and grab the bottle you want.